More than they need us........We need bees for a successful eco-system. 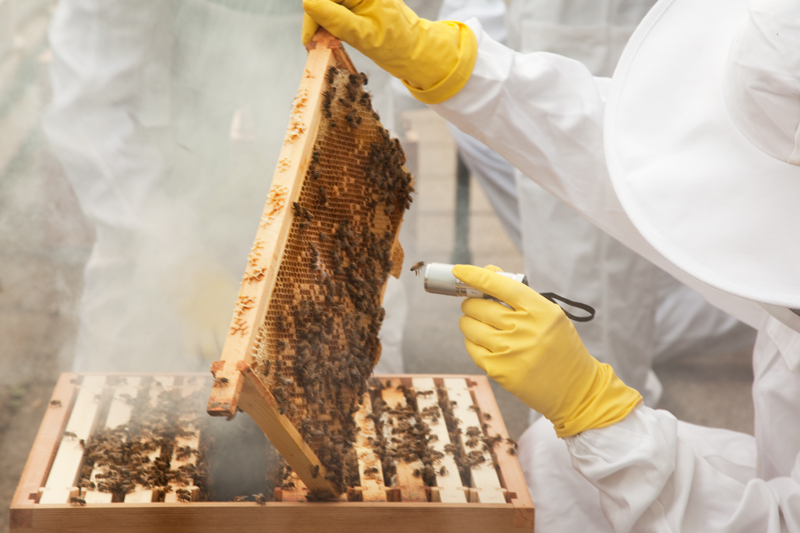 Learning how to create successful bee colonies is taking place on business rooftops in Kings Cross. An incredible program teaching young people how to manage bees is a collaborative work between Global Generation and local business. I'm very keen in keeping an eye on the health and welfare of our honey bees. Totally selfish of course, I have honey for breakfast every morning. Excellent project! I'd love to keep bees but we really haven't got suitable room. I hate honey, though! What an interesting project. I'm going to check their website. I like the 'idea' of honey, but find it sickly sweet in the mouth. However, I would love to watch and apiarist (?) at work - from a respectful distance, of course. Good idea Bees are in short supply, although twice I have been almost engulfed by a swarm moving house! The honey (overpriced I say) is wonderful! Two years ago there was definitely a shortage of bees visiting my back garden. But, it seems like conditions have changed/improved for bees. They're back in full force so far this summer. Bees on rooftops? Brilliant idea and how wonderful to have honey whenever you want it! i agree , bees are really important , good shot ! Interesting to think of that being taught in urban London. Cool. It is amazing how important bees are - if they disappeared we would probably all end up starving to death.